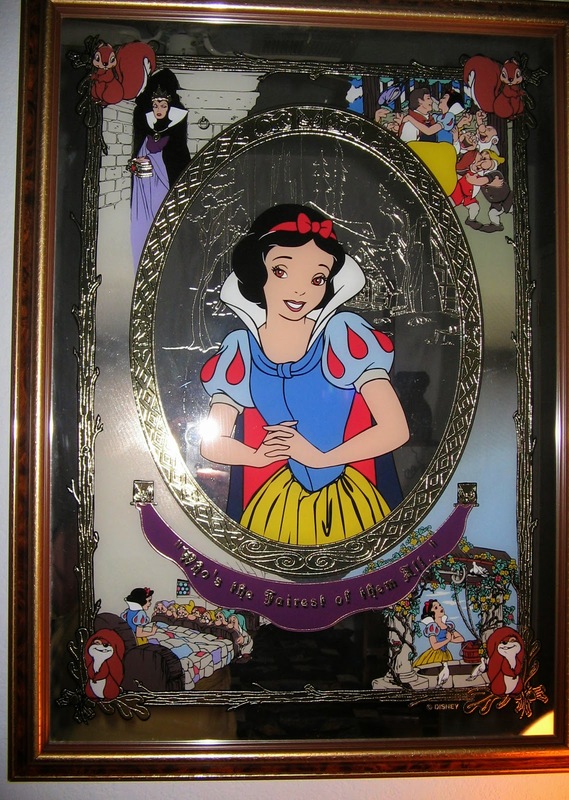 Purchased from the Disneyana shop at Disneyland in late 1994, this decorative mirror features several "scenes" from Snow White and the Seven Dwarfs. Text reads, "Who's the Fairest of them All." It's current owner seems to recall that the original price was around $300. The outside frame measures 22" x 29.5". 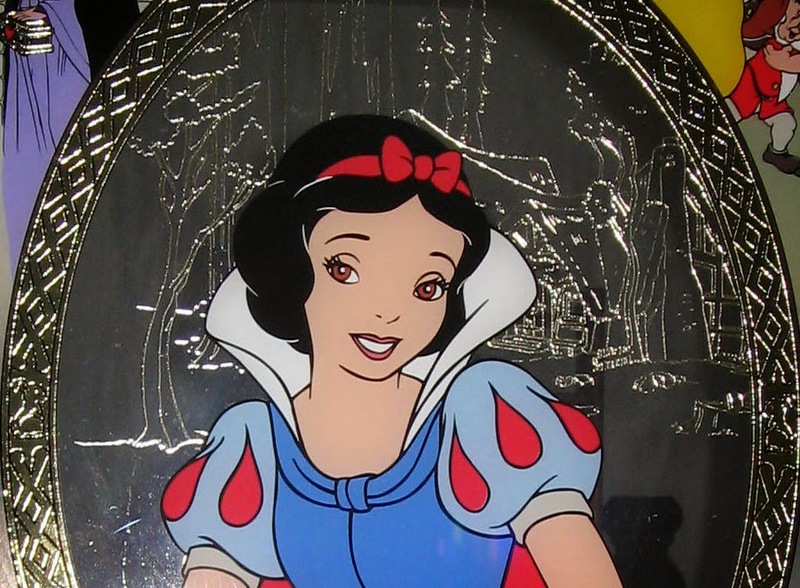 A close-up of the Magic Mirror etched detail and the cottage setting. Images courtesy of the Cindy Breeling Collection. 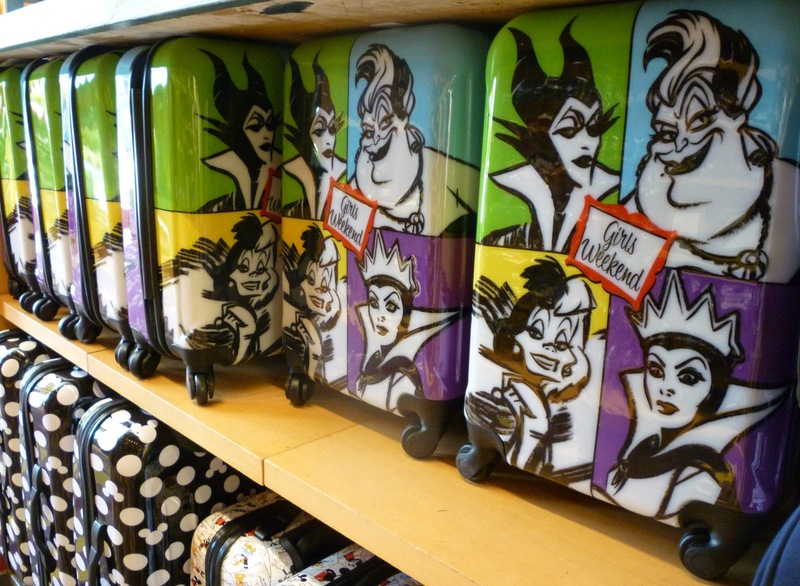 Made especially for Walt Disney World and Disneyland, this villains luggage case was also seen online at the Disney Store in 2014. Hard molded shell with double-zip closure. Telescopic handle mechanism and gliding in-line wheels. 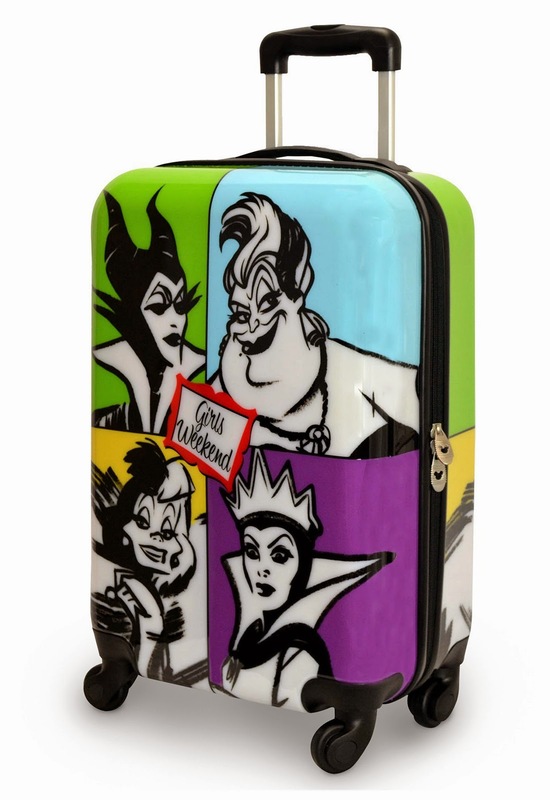 Artwork features the Evil Queen, Maleficent, Cruella De Vil, and Ursula. Text reads, "Girls Weekend." Measures 20'' x 13'' and 9'' deep. Retail $149.00. Item No. 7501055880064P. 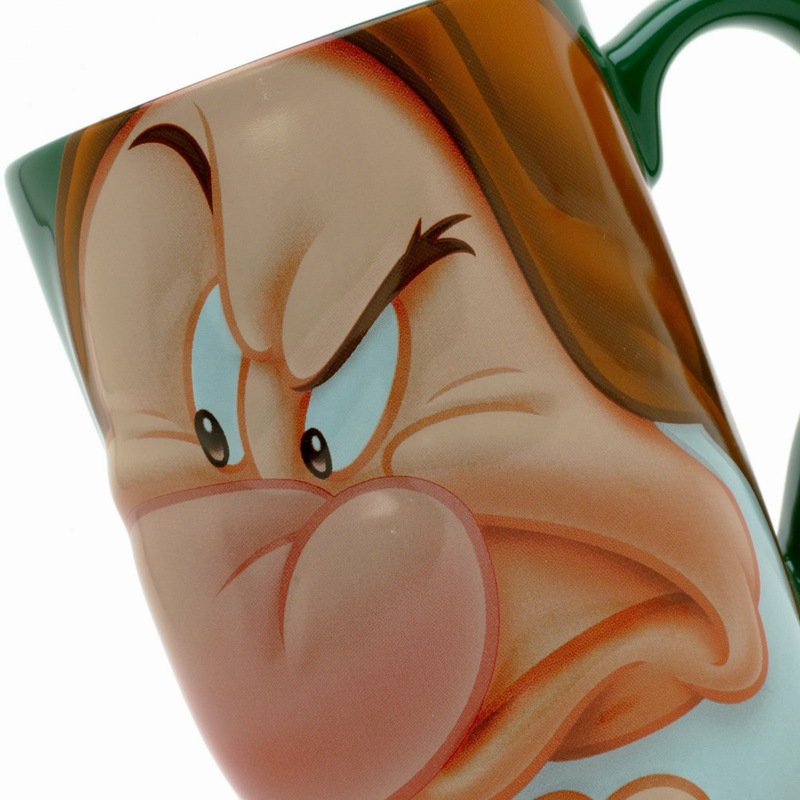 Stock image copyright Disney. Additional photo taken in May 2014 at the World of Disney Store, Downtown Disney, Florida. 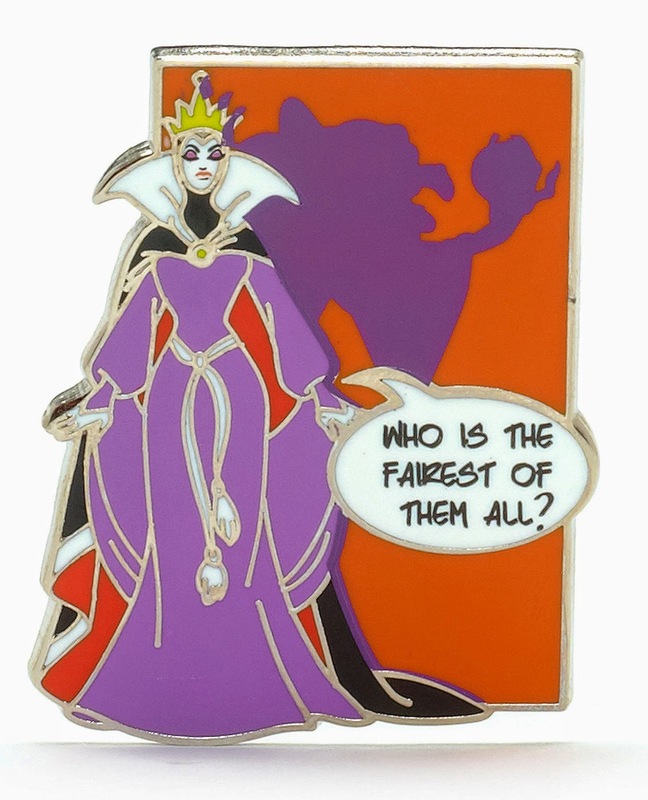 Pin features the Evil Queen with the shadow of her alter ego in the background. 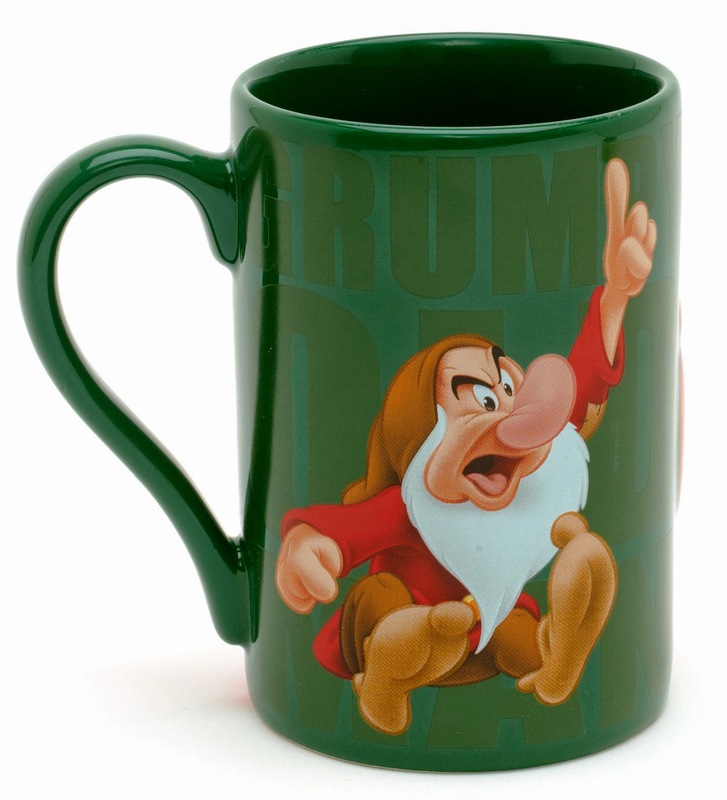 Sold at Disneyland Paris, it also appeared online at the Euro Disney Stores in November 2014. Text reads, "Who is the fairest of them all?" Measures 5cm x 4cm. Retail £7.00 (UK), 6,99 € (France/Germany). 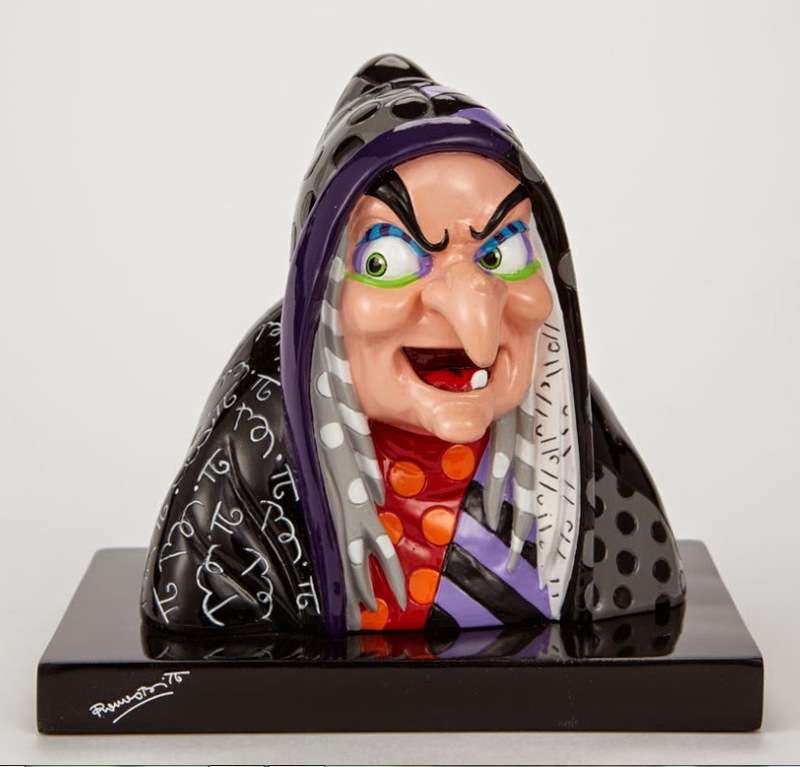 A colorful Hag Bust by Britto. Stone resin. Measures 5" high x 5.5" long x 4.125 deep. Introduced to retailers in September 2014. Estimated availability is March 2015. 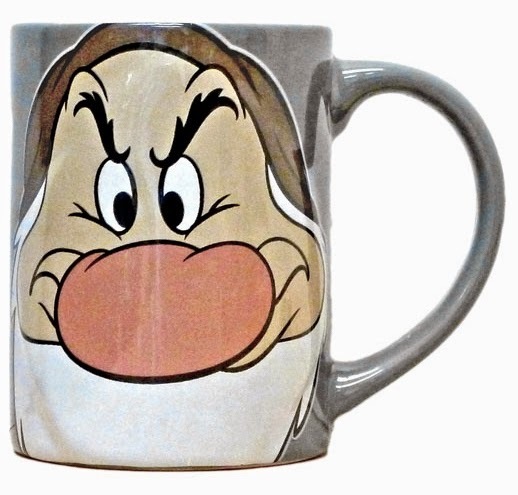 Distributed by Enesco. This cute little Evil Queen plush doll comes from Japan and was available only as a game prize in the 2005 Sega Villain Series. Approximately 9" tall crown to feet. In an earlier Archive entry, see a Sega Stitch-as-Snow White plush, as well as Scrump-as-Evil Queen. 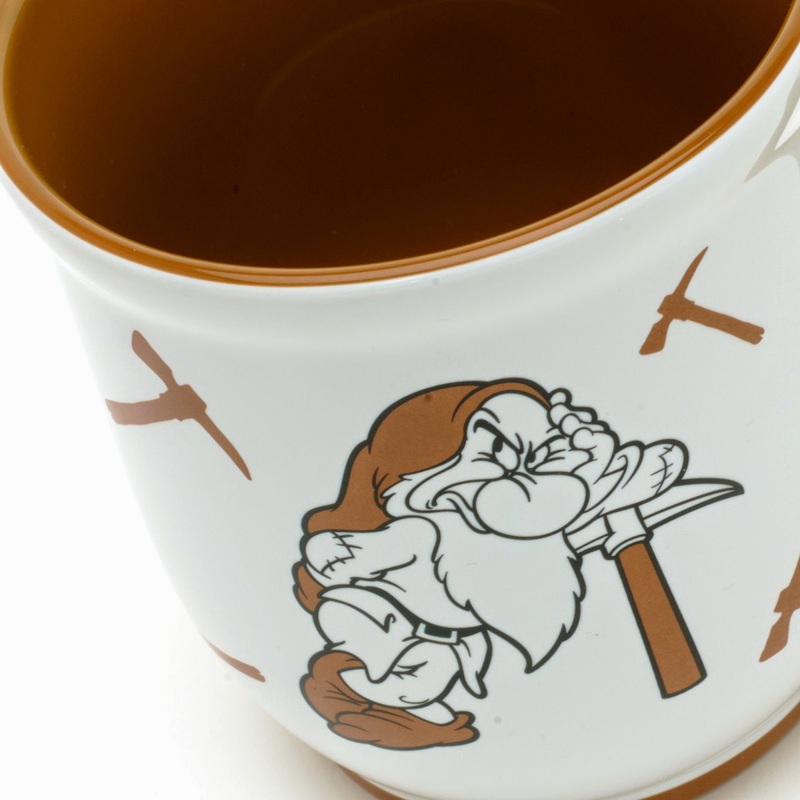 Dopey Disneyland Resort Coffee Mug. 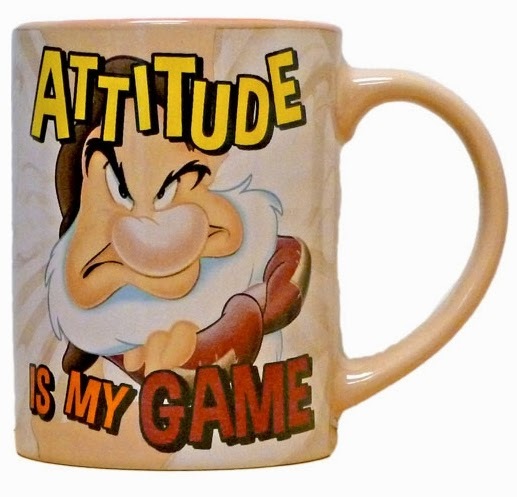 Seen on ebay in 2014 (possibly dates earlier than this). 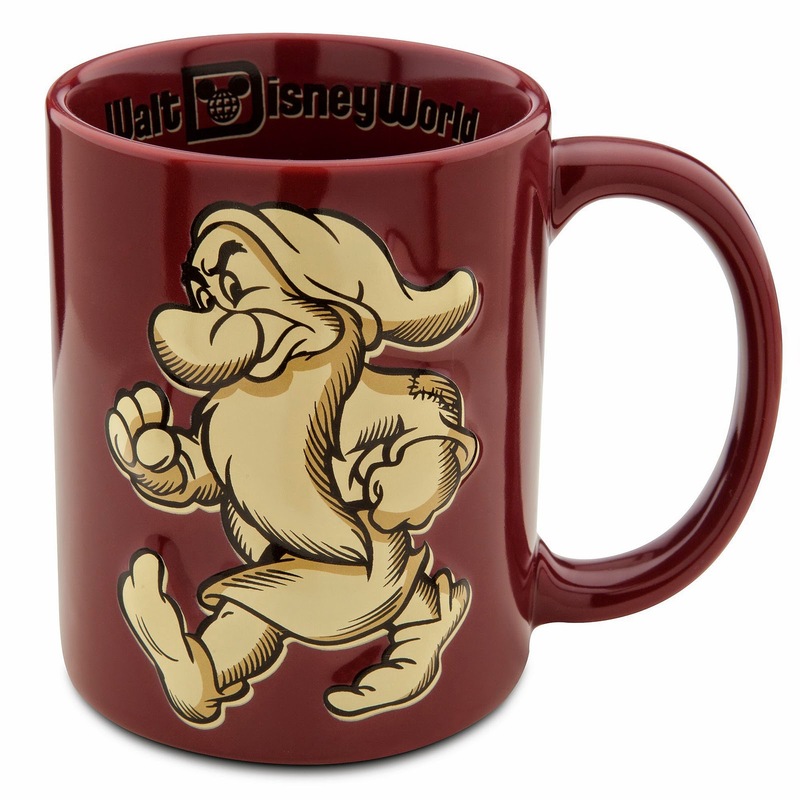 Embossed Dopey design on two sides. Purple rim with yellow interior. Ceramic. Holds 16 oz., stands 4.5" tall. Made in Thailand. 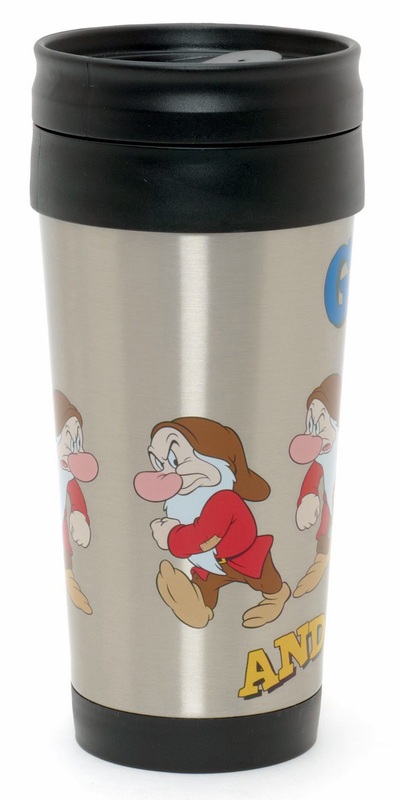 Also available at Walt Disney World. Images via briarcliffbooks, tweetymkg, billori2011. 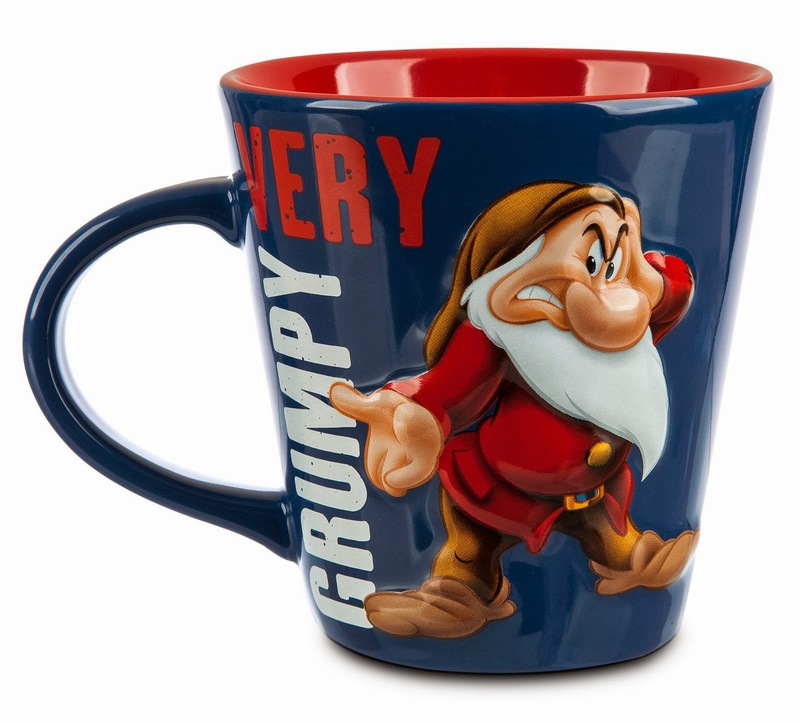 Grumpy Mug sold at Walt Disney World Resort. 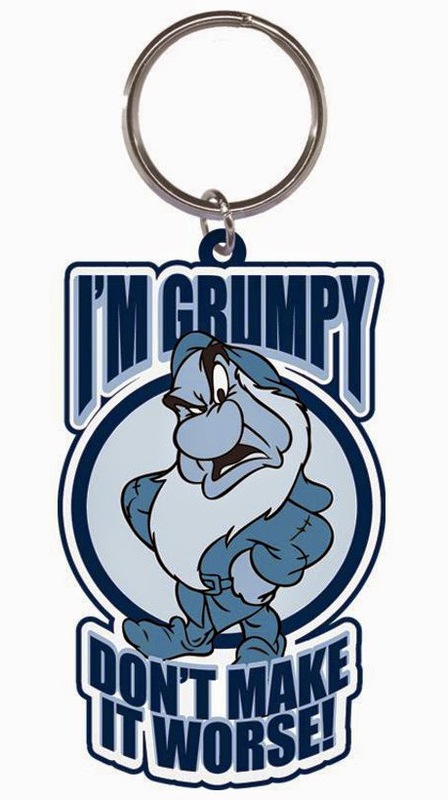 Also online at the Disney Store in May 2014. Ceramic. Holds 16 oz., measures 4.5' high x 3.5'' diameter. Retail $12.95. 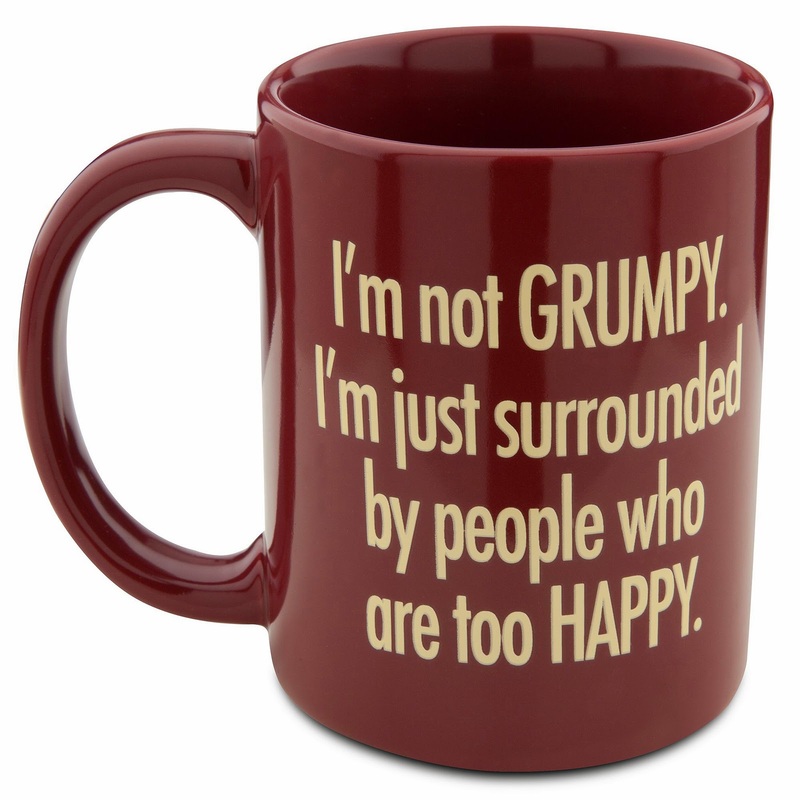 Grumpy Duo Mug. 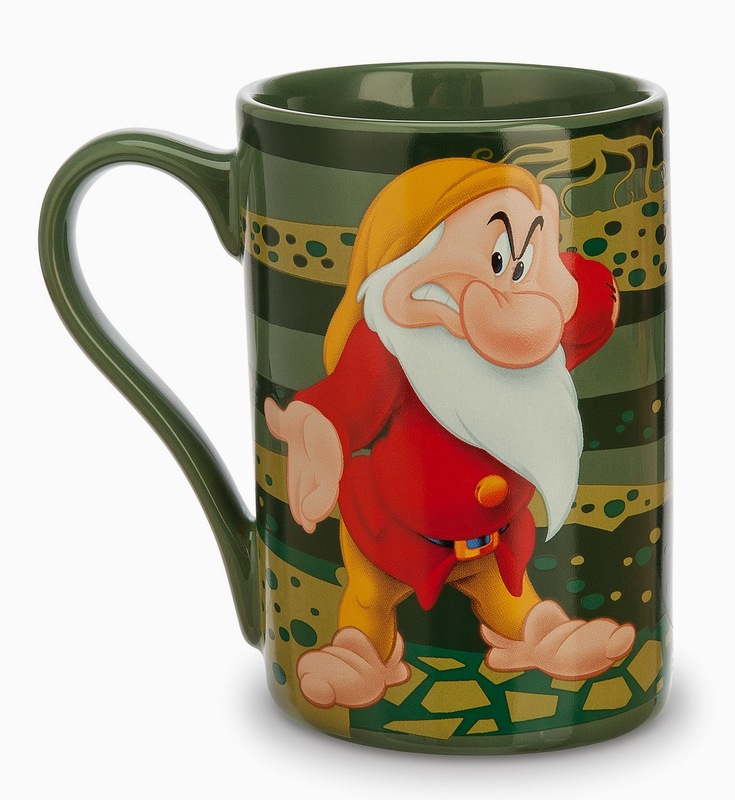 Euro Disney Stores, June 2014. Ceramic. 10.5cm tall x 10cm across. £8.00 (UK). 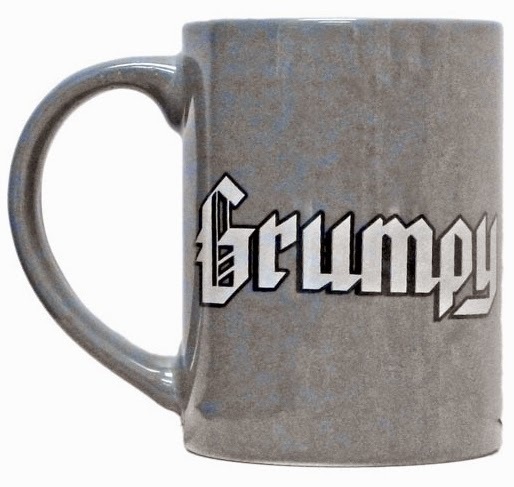 Large 'Grumpy Old Man' Mug. Euro Disney Stores. July 2014. Stoneware. 12cm x 8.5cm. £8.00 (UK). 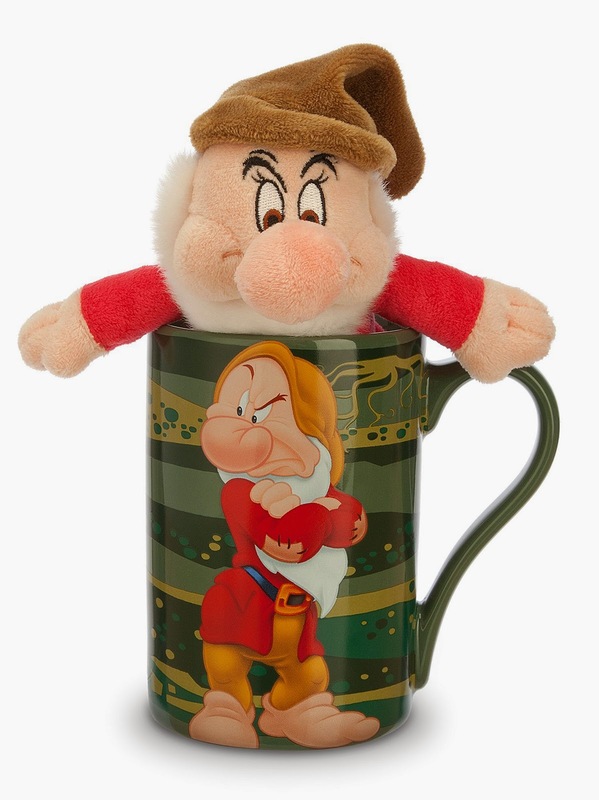 Grumpy Mug with Plush. 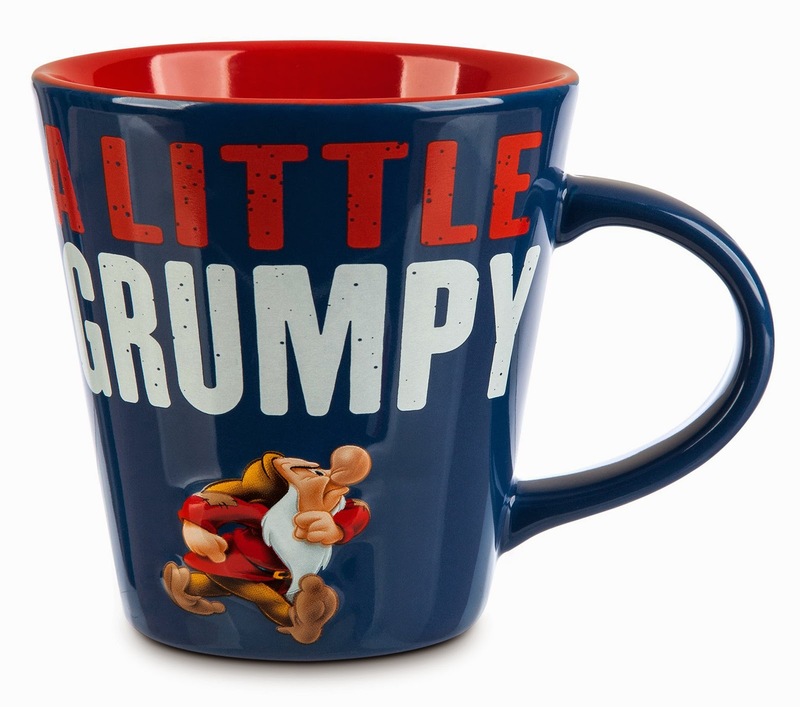 US Disney Store, October 2014. Ceramic. Holds 12 oz., 5'' x 3.25''. Plush: Polyester with plastic pellets. 8'' high. The set for $14.95. 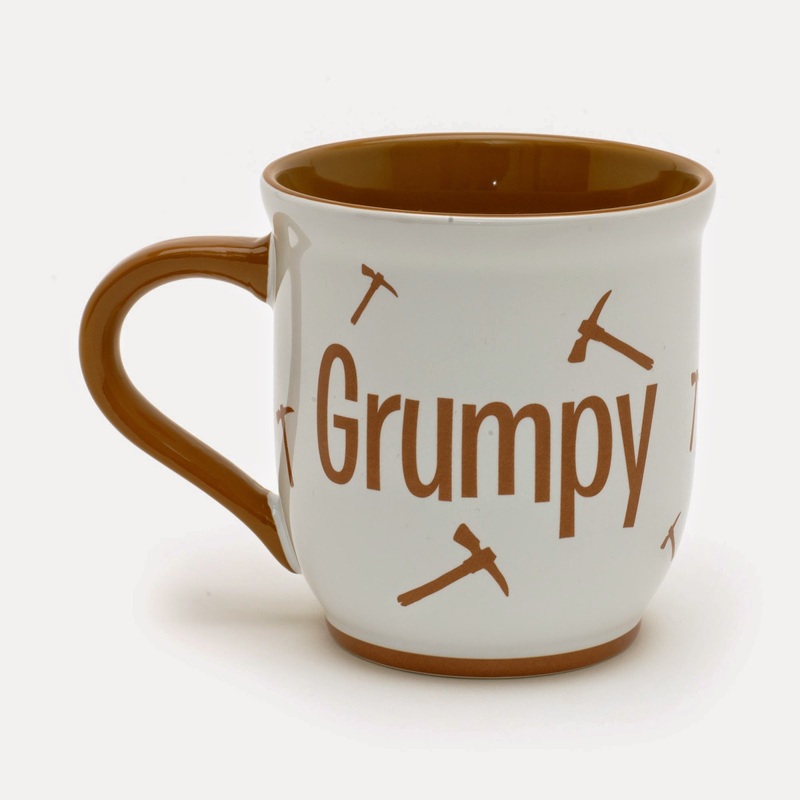 "Little Grumpy - Very Grumpy" Mug. 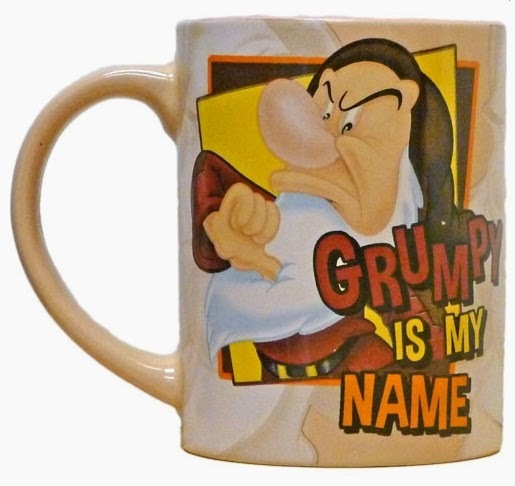 Disney Store October 2014. Ceramic. Holds 12 oz., 4.25" x 4" across rim. $12.95. 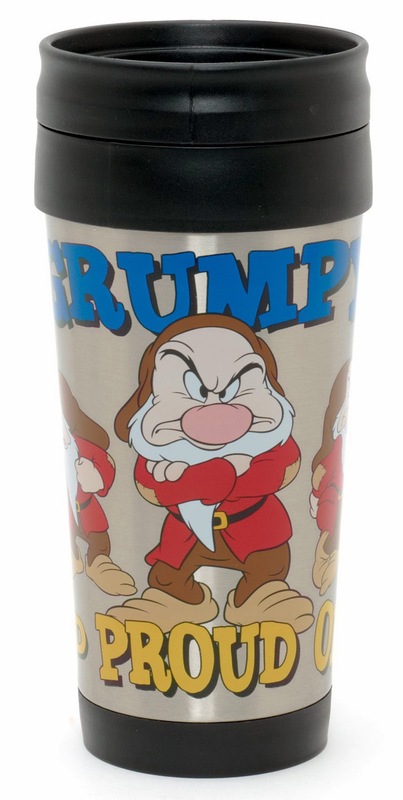 Grumpy Tumbler with Straw. 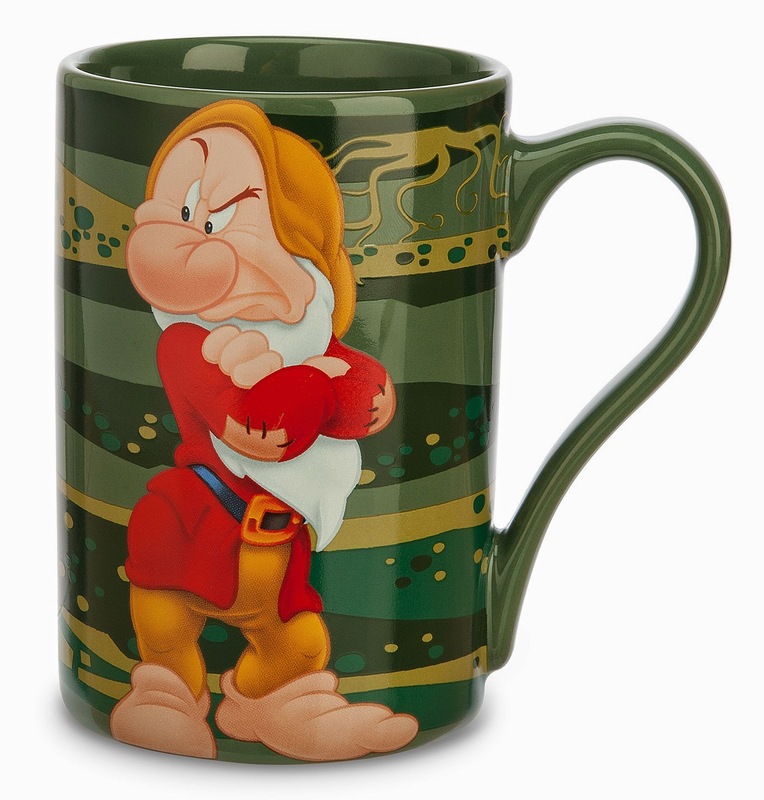 Disney Store October 2014. Double wall, twist-tight lid with hole for straw. BPA free plastic. 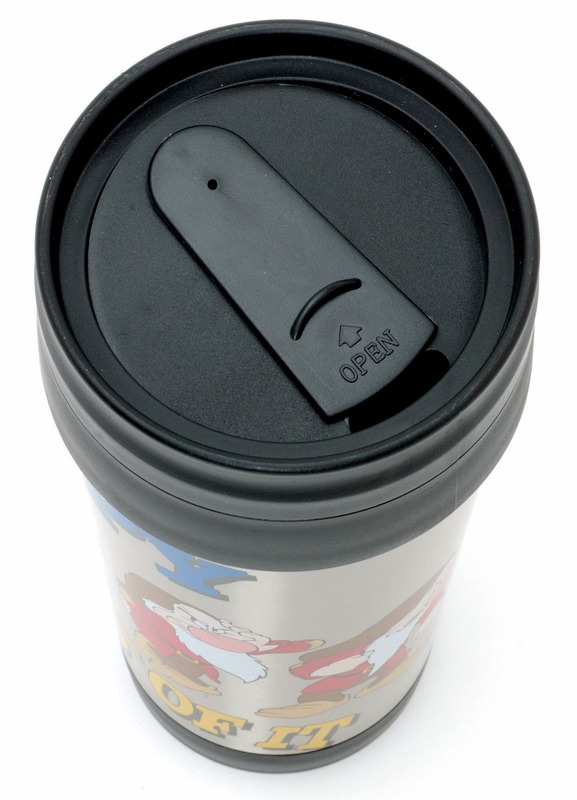 Holds 16 oz., 6.5'' (not including straw) x 4'' diameter. $7.95. 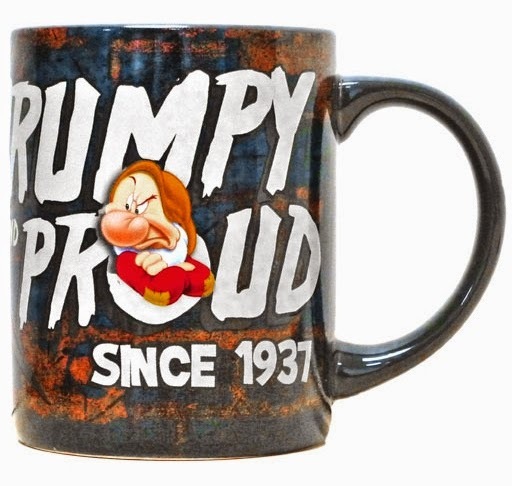 "Grumpy and Proud of It" Travel Mug. 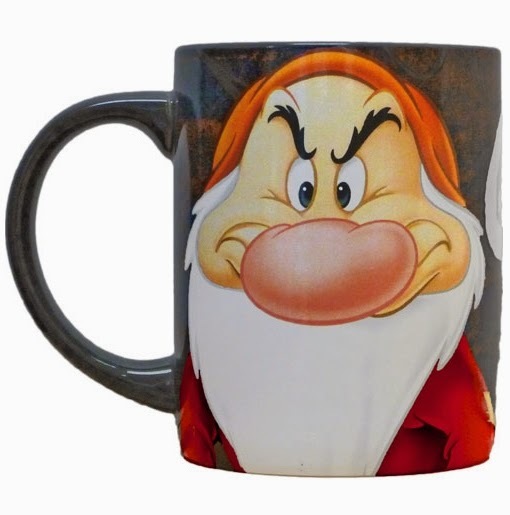 Euro Disney Stores February 2014. Metal finish. Measures 18cm tall x 8cm across. £6.00 (UK). Compare these with the 2011-2013 designs in an earlier Archive entry. 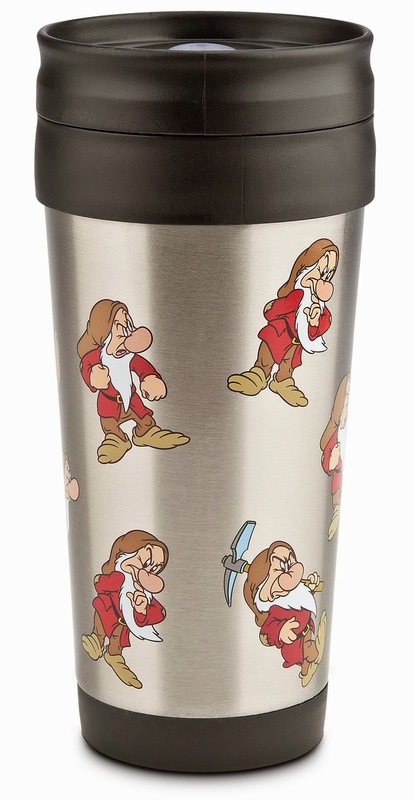 Also see the 2014 Jerry Leigh drinkware. 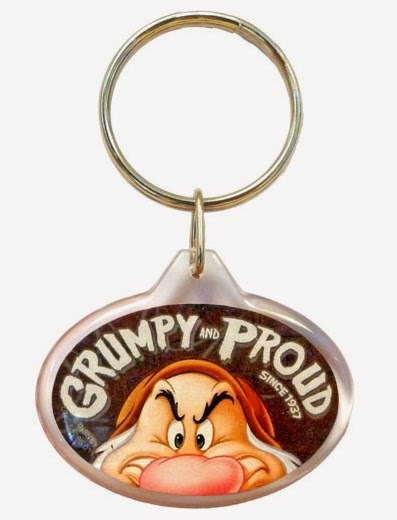 Grumpy keychains that were available to retailers via the 2014 Jerry Leigh wholesale catalog. Stock images copyright Jerry Leigh. 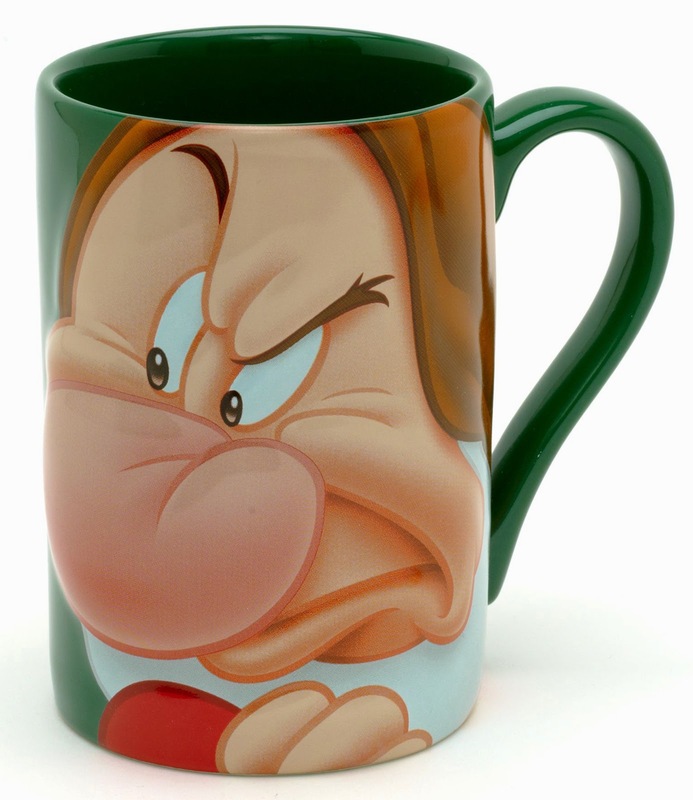 Pins, tees and mugs were among some of the other items produced by Jerry Leigh in 2014. 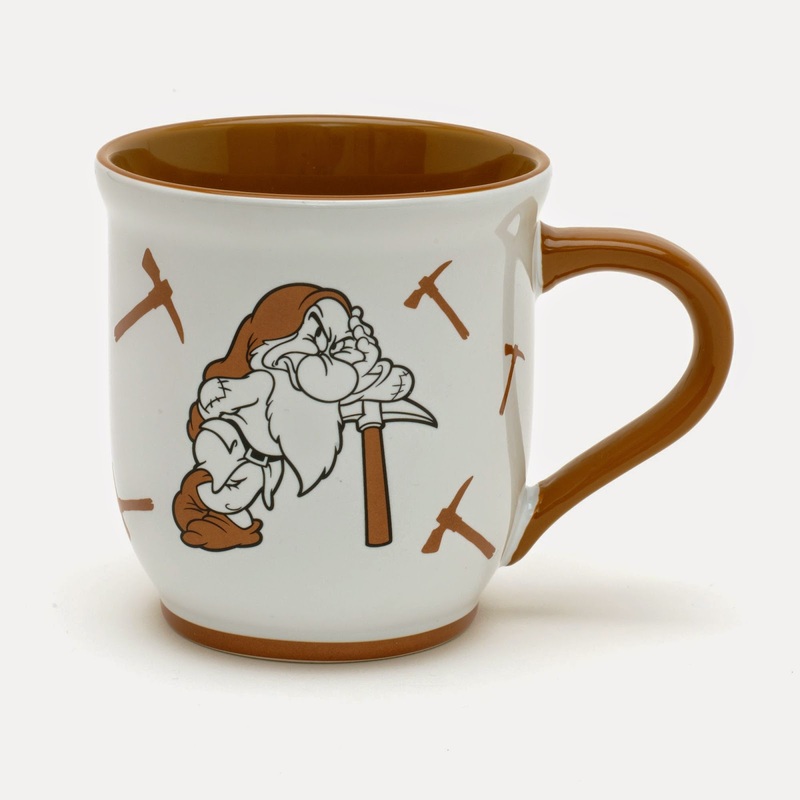 These mugs and glasses were available in the 2014 Jerry Leigh wholesale merchandise catalog. 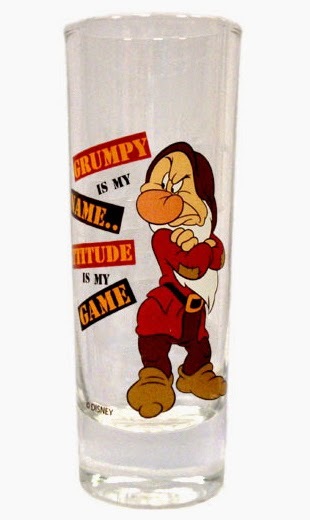 Grumpy Is My Name, Attitude Is My Game. 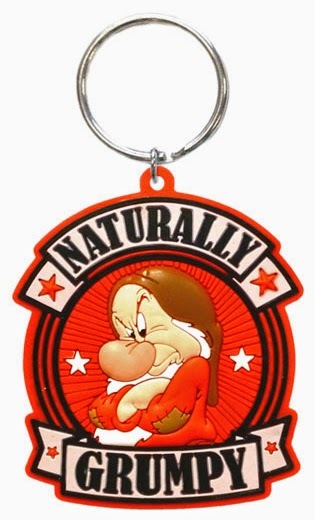 Among other things, Jerry Leigh also produced pins, tees and keychains. 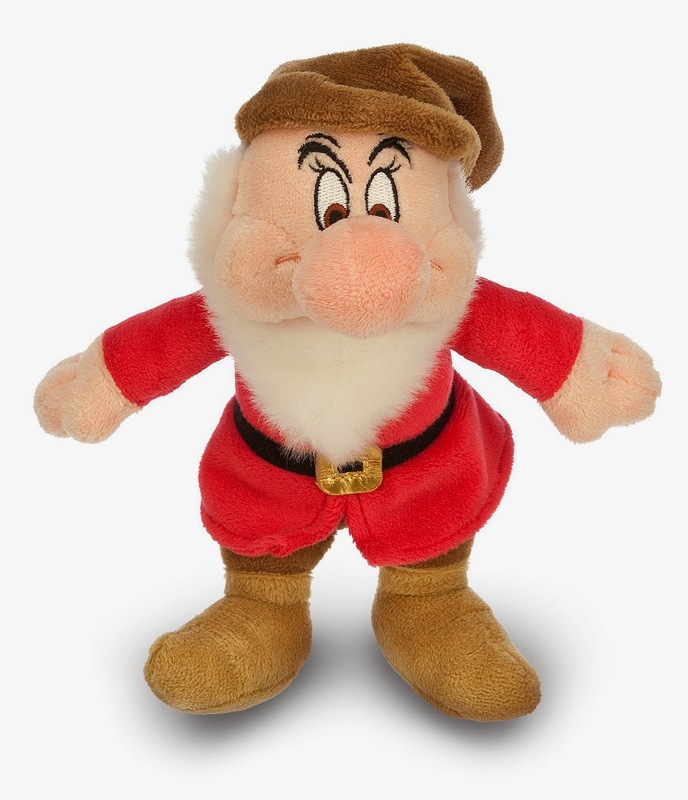 1994 Snow White "Eyes & Ears"